The $270 bln retailer increased quarterly sales 4 pct. That pales next to its Seattle rival’s latest 39 pct rise. But Walmart’s workers are as productive as ever while Amazon is employing many more, and getting less in return, as it expands stores, warehouses and distribution. Re-useable Walmart bags are seen in a newly opened Walmart Neighborhood Market in Chicago September 21, 2011. 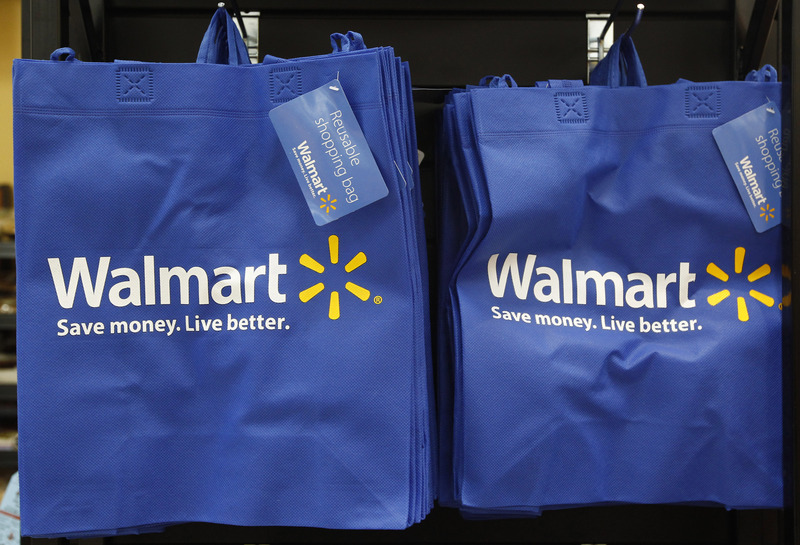 Walmart reported on Aug. 16 second-quarter revenue rose 3.8 percent year-over-year to $128 billion. The company lost $861 million, or 29 cents per share, for the three-month period ending July 31, compared with earnings of $2.9 billion, or 96 cents a share, a year earlier. Adjusted to exclude a charge for the sale of a majority stake in its Brazilian business, earnings were $1.29 a share, above the analyst estimate of $1.22, according to Thomson Reuters I/B/E/S. Comparable store sales in the United States rose 4.5 percent in the quarter. The company said it expected net sales would increase 2 percent in constant currency terms in the full year ending Jan. 31, 2019, up from previous guidance of 1.5 percent to 2 percent growth, and adjusted earnings per share of $4.90 to $5.05, up from $4.75 to $5.00 previously.